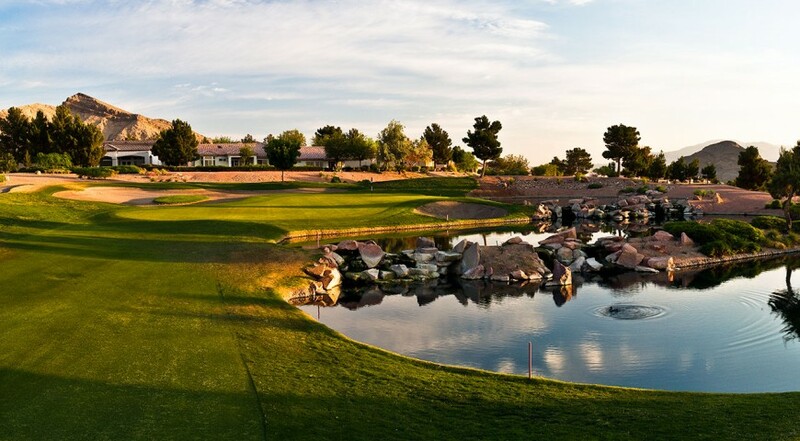 You will find three of Las Vegas’ most fun and friendly golf courses in the Golf Summerlin trifecta. Not only are the courses worth the play, the rates at Golf Summerlin are among the lowest in the valley and offer a nice value. Click to Visit Highland Falls, and Book a Tee Time! Highland Falls and Palm Valley are championship courses while Eagle Crest is a par 60 executive layout. All of the courses we designed by Greg Nash and Billy Casper and cater to any level of player. Nash is a highly respected architect while Casper is a member of the World Golf Hall of Fame. Another wow factor of playing a Golf Summerlin course, including Highland Falls, is the views of the entire valley. The courses are located in the northwest part of the Las Vegas and near the mountains so they sit above the rest of Las Vegas. 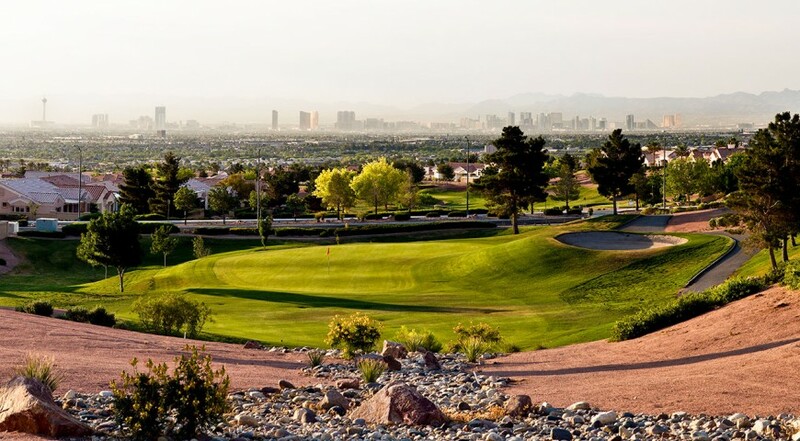 In our humble opinion, Highland Falls is the most dramatic layout of the three, and is accented by the great views of the Las Vegas valley, and of the Spring Mountains to the north. The course was chosen as the reader’s favorite in a Las Vegas Review-Journal poll in 2011, and when you play it you will see why. The course winds through the pretty Sun City neighborhoods. The 18th hole is a great test for golfers. The par-4, dogleg right plays 387 yards. Water runs from tee to green on the right, while the left is guarded by native landscaping. The green is well protected by twin sloping bunkers on the left and a beautiful lake on right. A nice clubhouse, restaurant and pro shop is on property as well. Water, sand, flowers, canyons, views and quality golf accent each of the layouts. 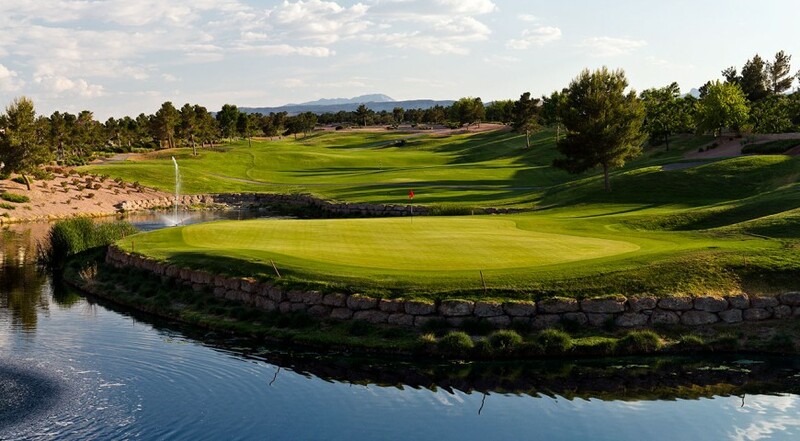 Golf Summerlin offers some of the best golf rates available at Las Vegas courses. And while the courses are a part of this “retirement” community, don’t be fooled with that label, because they offer all of the golf that any player at any age wants. Just like the courses’ designer (he is one of the game’s best-ever players, but is often overlooked in the discussion) the three courses at Golf Summerlin are top tier and great values.